Do you need some time away to refuel and recharge? As ministers, you work hard to serve people. One of the challenges of ministry life is learning how to care for yourself so that you can lead from a healthy soul. Research suggests that the best way to thrive in ministry is to take time off for personal retreats and vacations. We hope these resources will provide you with affordable options. So what are you waiting for? Carve out time on your calendar to unplug and replenish! 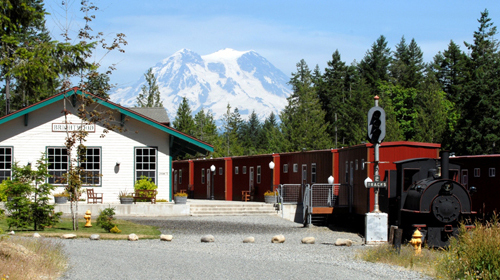 Located just before the Mt Rainier National Park Nisqually entrance with friendly staff, comfortable beds and great breakfasts (included with most reservations). Lunch packs are available for day hikes. 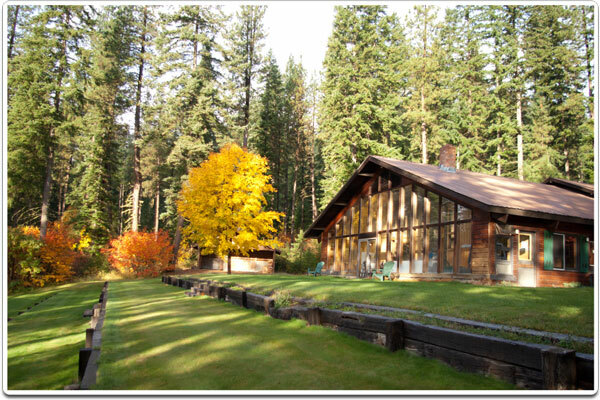 Relax by the trout pond and enjoy a Mt Rainier retreat! Intensive, individual counseling by licensed staff offered in a secluded mountain retreat home with a commitment to restore marriages and families using Biblical principles combined with the Gottman methods. Facilities are also available for personal or family respite. Black Diamond Camps Retreats' provide a world of options for unique group experiences including outdoor adventure, prime activities, team building, fun, relaxation, and more. With a special focus on Biblical truth, our goal is that guests return home feeling refreshed and inspired by new experiences with the aim of Christ-like change. We offer around 600 beds with a variety of lodging options. Year around facilities for 15-350, up to 450 in the summer, including dorms, cabins, over 35 RV sites with hook-ups, and 38 units with private baths. Excellent for all groups: youth, men, women, couples, family camps and retreat - best service and prices. Black Lake also features "Harmony Springs" wilderness youth camps. from 35 to 340 people for overnight lodging. Our state-of-the-art meeting rooms, accommodating up to 300 people, help make us the finest in midsize Conference Centers in Washington State. Holding your meetings at a destination resort on the shores of beautiful Lake Chelan will make your meeting or conference more meaningful and productive. Camp Bethel is nestled in a coastal forest (approximately 17 miles north of Hoquiam) that provides opportunity for hiking and exploring God's creation. Camp Bethel has a wide variety of recreational opportunities and is located approximately ten miles from nearby beaches. 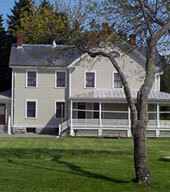 Plan your next retreat on beautiful Whidbey Island! 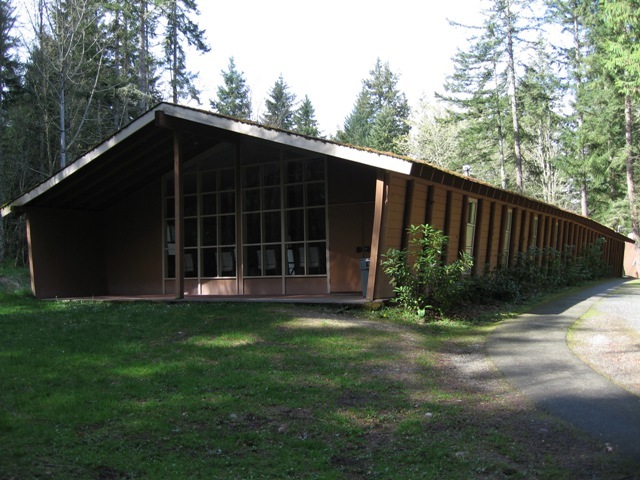 A hidden gem of Seattle Pacific University is our Camp Casey Conference Center right on the coast of Washington. An old Army base that has been remodeled, it is the perfect place for retreats, camps, conferences and getaways. A variety of housing options, a delicious menu provided by dining services, an on-site auditorium, various breakout rooms and facilities, a thriving “sea lab” with sea creatures right off the shore, an outdoor pool and nearby local attractions. 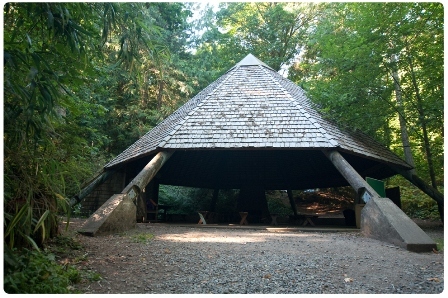 The camp sits on the SW tip of the Key Peninsula at Case Inlet on 86 acres of wooded forest. 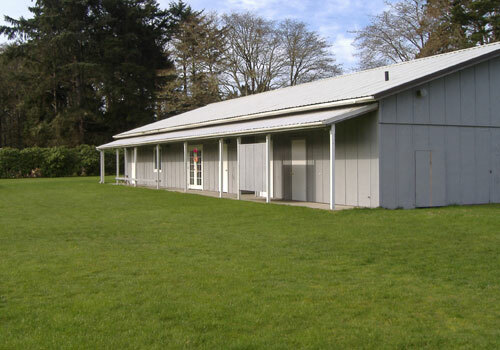 Facilities include ball fields, archery, tennis, badminton, volleyball and pickle ball. A ropes course, crafts center, initiative course and campfire, plus water activities including swimming and boating. A year round retreat center on Lake Tanwax. 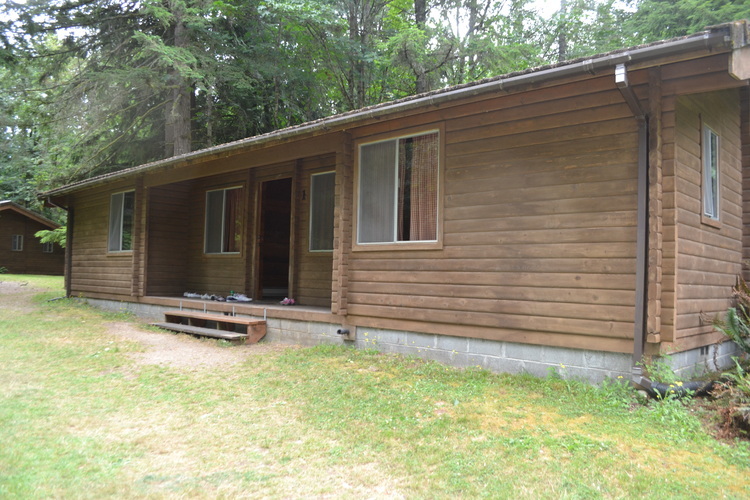 Cabins and a 6000 sq foot cedar lodge overlooking the lake provide comfortable and modern housing for up to 100. Enjoy volleyball, basketball, hiking, fishing, boating or relaxing by the lake. 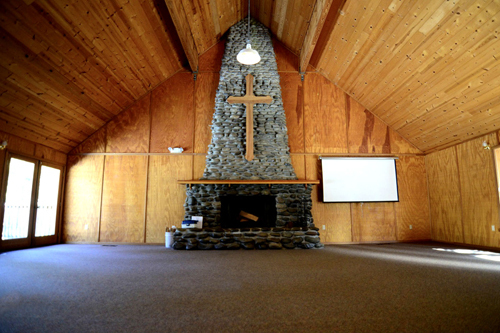 Located on the Snoqualmie River, Camp Gilead offers year-round facilities for groups from 10 to 225. Recreational opportunities include mini-golf, pickleball, tennis, covered basketball and volleyball, boating/canoeing, dirtboarding, field games and miniature train rides for the younger campers. Two ski areas nearby. 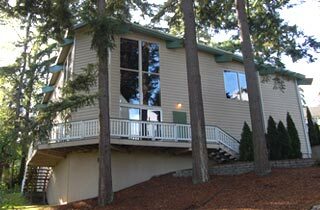 Located on Lake Samish and 105 acres in the Cascade Mountains. 1,500 ft of shoreline accommodates camping, hiking, swimming, softball, tennis, basketball, canoeing and ropes courses. Open March through October. 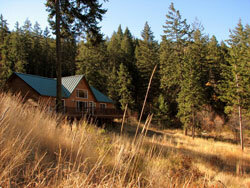 Facilities: 6 rustic cabins, a heated retreat house and tent/trailer/RV sites. Through July and August, we offer week long outdoor program for kids of all ages. Lutherwood is perfect for day or overnight environmental education. 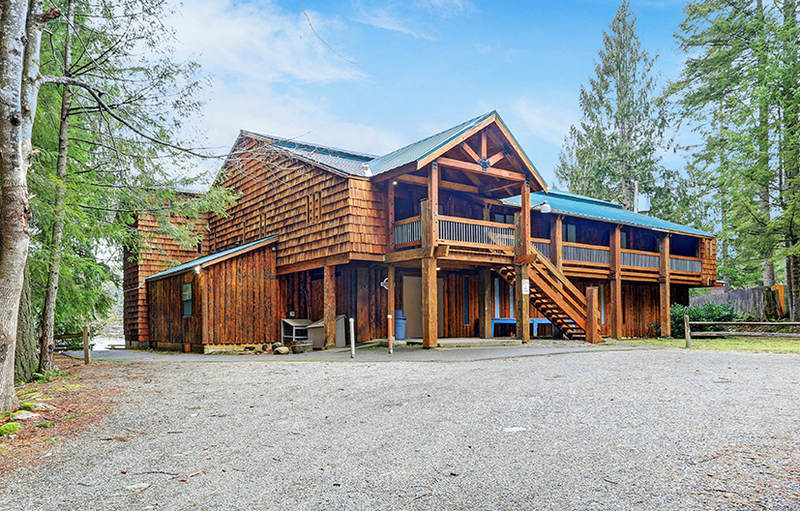 Camp McCullough is available year round for weekend retreats or week-long camps.It is located on beautiful Pipe Lake in Covington, Washington. June through September we provide certified, experienced lifeguards for swimming along with row boats, canoes, paddle boats, kayaks, water toys, a blob and life jackets. 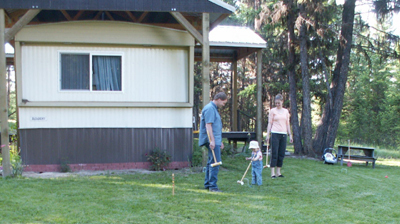 Features excellent youth/family camping programs and offer guest group rental facilities. Enjoy 825 acres of pristine forest, meadows and lake-front property. 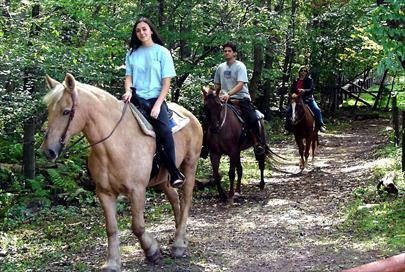 Take a horseback-trail ride. Beautiful dining room and lodges can accommodate groups of up to 250 or several smaller groups retreating at the same time. Cedar Springs offers a wide variety of facilities. 100 acres accommodates groups from 10 to 1000. Cabins sleep over 260, or groups can enjoy the comfort of their own RV. Recreational opportunities abound in out 21,000 sq. ft. multi-purpose building, or from the woods and high ropes course. Located northeast of Bellingham, Washington, near the town of Sumas. A beautiful scenic drive along winding country roads providing a quiet, peaceful, and natural environment for adult discipleship programs that nurture Christian character and enrich the church. Located on the shores of Clear Lake, this mountain year-round facility offers accommodations for 101 in the rustic lower camp or 58 in the self-contained lodge. Just minutes from White Pass skiing. A wonderful, year-round, campus-like setting for groups of 20-130 (and more in the summer). 165 acres located in a recreational wonderland with opportunities on site and at nearby lakes, trails and mountains. Downhill skiing at Snoqualmie and great cross-country skiing at our doorstep. 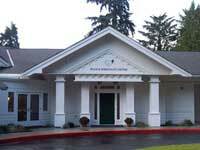 We are located 2 miles south of Ocean Park , WA on the beautiful Long Beach Peninsula. 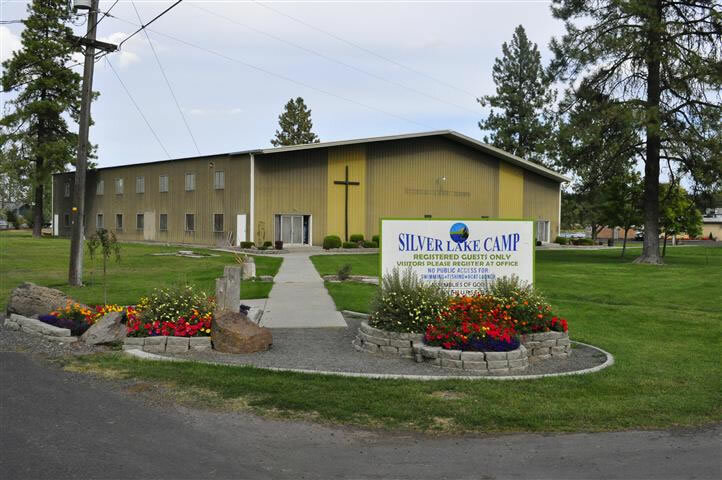 Our main campus has 15 beach side acres with an Olympic size pool, a gym, 2 chapels, 2 smaller meeting areas, a lunch facility that holds 300 people, two play fields, and numerous bunk houses. The Dunes also has acreage on Loomis Lake, just 2 miles south of the main campus. For over eighty years, The Firs has risen to the challenge of serving many groups, organizations, families and campers young and old. It all began with a vision: A meeting place with God, where hundreds were to be blessed. Not just "a bit of land," on Lake Whatcom in Bellingham, Washington, but a place where the people would hear His Word and be satisfied. Through its programs, and dedicated staff, The Firs has labored to proclaim Jesus as Savior and Lord and continues to fulfill its mission with a variety of retreat facilities to meet the needs of all guests. 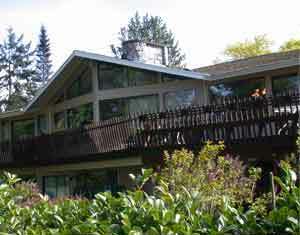 Ghormley Meadow Christian Camp, located near Yakima, WA, is a mountain retreat center and christian summer camp, and has been in existence for 75 years. We serve the communities of Central Washington through summer camps, group retreats, service opportunities and much more! We'd love to have you check us out for your next group retreat or summer camp experience in Washington State! We are located near White Pass Ski Area, and within comfortable driving distance of Seattle, the Tri-Cities, WA, Portland and Spokane. Hidden within the urbanized area of Lacey, Washington, near Olympia, lies Gwinwood -- a 29 acre retreat site that has been preserved in its natural state through stewardship and teaching about the natural world. 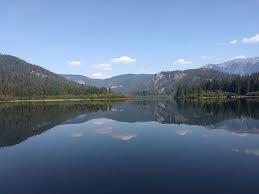 Located on Hicks Lake with lodging facilities for 15 to 170 people. Delicious meals are expertly prepared or yourgroup can prepare their own meals by special arrangement. 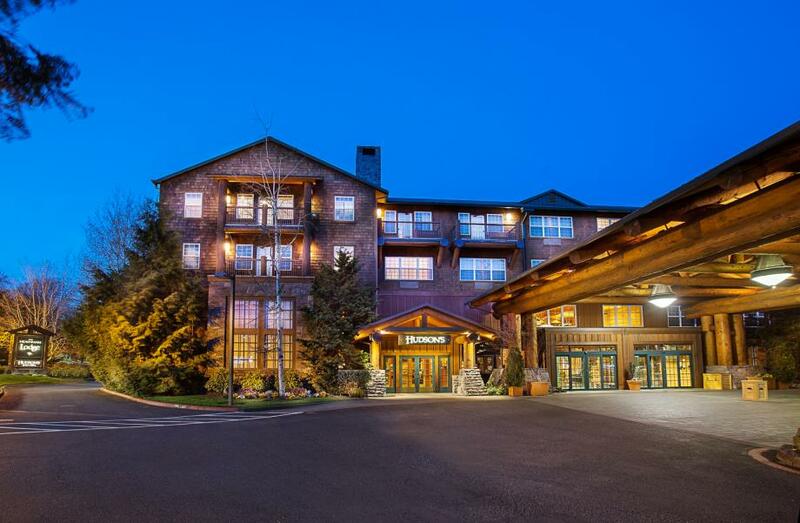 We are an Alpine Style Lodge(it’s almost as if we are plucked right off of a mountain top), conveniently located next to two major freeway, 15 minutes from Portland International Airport. We have an indoor swimming pool, hot tub, work out rooms, and 4 Star restaurant. We have 10,000 square feet of divisible meeting space and 182 guest rooms. We put together custom package for your church retreats/conferences. The Oasis is a Christian Retreat Center dedicated to creating a place of peace and rest in the middle of our hectic world. We invite you to come and take time away from the busyness of everyday life and draw closer to the Lord. 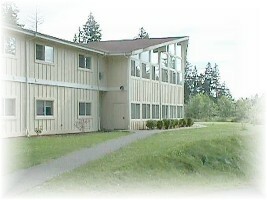 Our property is located on 2.2 acres bordered by the Mill Creek on the South side, just North of the WSU Campus. The Hosanna Way Station Christian Retreat Center exists to provide quiet, private quarters for families in Christian ministry to vacation at no cost or a nominal fee. HospitalityHomes.org is a global network of homes providing rest and renewal for pastors, clergy, missionaries, evangelists, chaplains, ministry directors, and other full-time Christian workers. The network of homes are privately owned by Christian hosts in the spirit of Romans 12:13 "Share with God's people in need . . practice hospitality." They are available to Christian workers seeking spiritual and physical renewal at a nominal donation to the ministry. Our goal is to provide opportunities for those who are on the frontlines to "come away" with Jesus and get some rest and to be restored. 3211 56th St. Constructed and decorated in a Pacific Northwest rendition of the Craftsman style, the INN at Gig Harbor offers 64 comfortably appointed rooms and suites. Whether you choose one of our deluxe double queen rooms, a deluxe king room or one of our fireplace, Jacuzzi or family suites, you will be surrounded by custom made Craftsman furnishings with business friendly work areas. Additionally you will enjoy the convenience of complimentary parking, Wi-Fi internet as well as bottled water and in-room coffee. All of our guest rooms and suites also have refrigerators, microwaves and flat-panel HD TVs. Complimentary DVD players are available upon request. 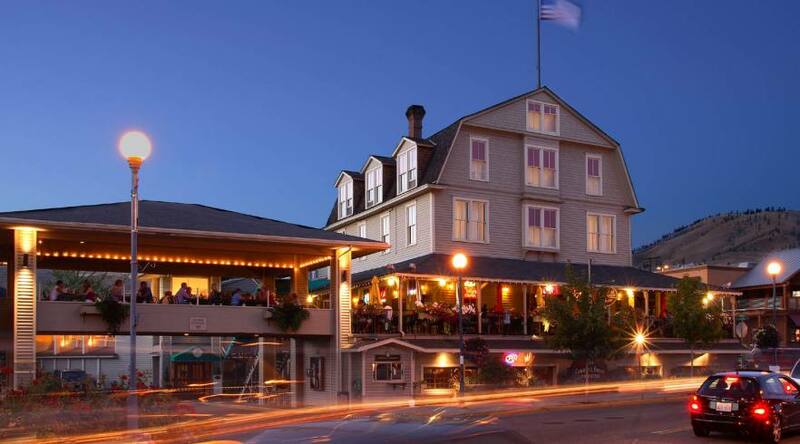 In the quaint and charming town of La Conner, lies the cozy and Luxurious accommodations of The La Conner Channel Lodge. Our rooms boast Northwest styling, waterfront views and reside in the heart of our town, ideal for daily exploring and fine dining. 60 acres located on a pristine private lake. Facilities accommodate 350 guests, and are available for guest groups from September to mid-June. Retreat and summer youth and family camps are open to anyone. 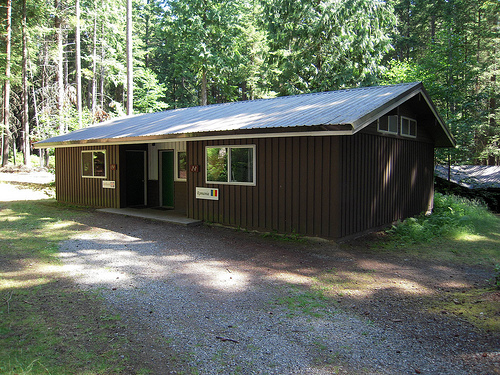 The 50 acre campus located on Deer Lake has year-round facilities for youth, family camps and retreats. The camp will accommodate 120 campers plus staff in cabins. Modern kitchen and meeting facilities. Extensive recreational facilities. 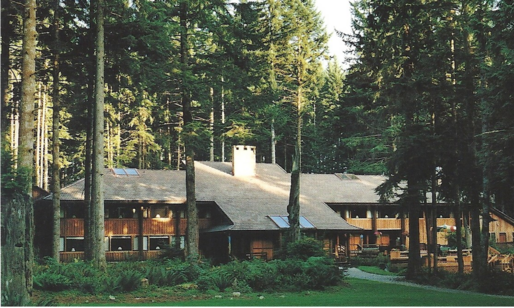 Located on 110 acres of mixed forest in the heart of the Manastash Canyon in the Eastern Cascade Mountain Foothills in Washington State, Lazy F Camp and Retreat Center is an ideal location any time of the year for groups to gather. We host non-profit groups for retreats, meetings, and conferences; Christian summer camps for children and youth; host school groups for environmental education opportunities; facilitate an excellent challenge course program; and offer retreats for youth and adults throughout the year. The Lodge on Orcas Island in the Gorgeous San Juan Islands is the perfect place to take a few days and explore the inner renewing of your heart in a setting of quiet natural beauty. Sit and relax in front of the cozy fire, visit with the fish in the aquarium room or venture into the beautiful nature wonderland of Orcas Island. Enjoy eco-friendly, craftsman decor, free Wi-Fi, a shared, fully equipped kitchen including coffee and tea, common living spaces and enclosed lanai. The Methow Valley Ranch was a dude ranch in the 1940's. Maintaining the theme, we have rebuilt the original bunkhouse into a modern retreat center, complete with conference room, full kitchen and four comfortable bedrooms upstairs. 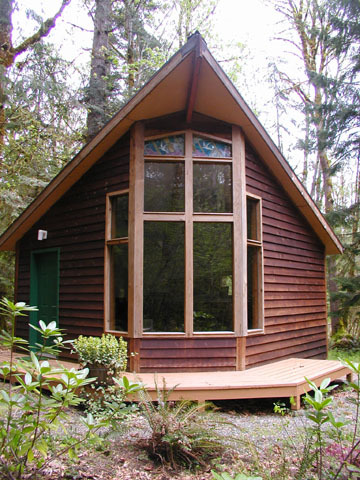 Additional accommodations include bedrooms at the Prayer Center and Grace Place, as well as a small apartment (the Upper Room).The House of Prayer Completing the retreat atmosphere is a prayer center for solitary reflection of group prayer gatherings, with adjacent rooms for Bible study and prayer. The Ranch can accommodate up to 25 guests, from individuals to groups. Guests are responsible for their own programs, meals, and cleanup. A year-round facility with lodging for 300 in summer and 200 in winter. We provide meals for large groups with small groups having the option to do their own cooking. A beautiful setting and just 28 miles from a terrific ski resort! 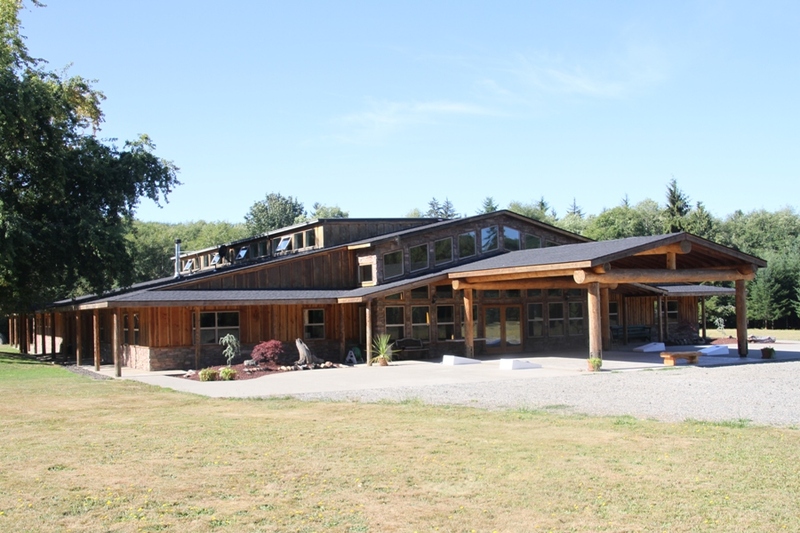 Located on the shores of Lake Washington in Bellevue, the Peace and Spirituality Center at St. Mary-on-the-Lake provides the perfect setting for retreats, workshops, and meetings. The nine-acre, lake-front property is secluded and wooded, with paths through the woods and to the lake where a dock with wooden rocking chairs offers views of Mt. Rainier, Mercer Island and Olympic Mountain sunsets. The ideal family getaway in north central Washington. Located on the scenic shore of Patterson Lake eight miles southwest of Winthrop, sixteen one, two and three bedroom luxury cabins await your enjoyment. This is like no “shed” you’ve ever seen before. Situated on the property of one of Colfax’s beautiful historic homes (currently undergoing restoration) this adorable retreat has served throughout its life as a stable, a play-house, a mother-in-law residence, an office and until recently...a glorified potting shed. Thus, the name is a tongue-in-cheek nod to its history in sharp contrast to what it has become! 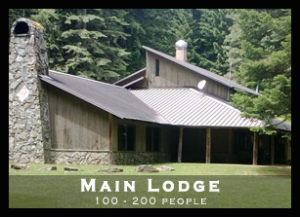 Rainbow Lodge is located on 40 forested acres, at the foot of Mt. Si in the Cascade foothills, 45 minutes east of Seattle. The Lodge has 25 bedrooms, sleeping 1 or 2 people per room. Each bedroom has a sink, with shared restroom facilities in each of the 3 wings. The main conference room offers quiet warmth with comfortable chairs. AV equipment and wi-fi are provided. There are several smaller meeting areas available. Our kitchen staff serves delicious buffet style meals. Beverages are available 24 hours a day. In the midst of many demands on His time, Jesus made it a priority to get away for alone time and to connect with His "team." The Refuge is designed specifically for small groups and/or families who need a place to be renewed and recharged. We are a Christian non-profit ministry focused on providing events and facilities for those seeking to enrich their walk with the God of the Bible. Offers very comfortable facilities for groups up to 50. Facilities include cabins with restrooms, meeting room, game room, covered arena for horseback riding and games. Recreational opportunities include horseback riding, hiking, field games, horseshoes and archery. Cross country skiing only 45 minutes away. 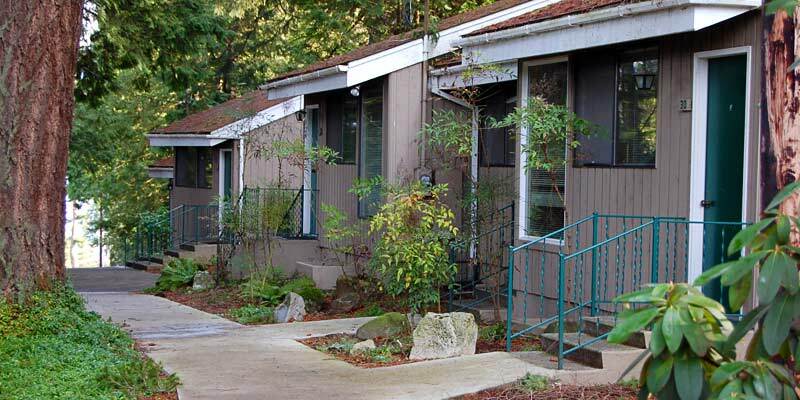 Conveniently located between Issaquah and Bellevue, Sambica’s picturesque setting on Sake Sammamish lends itself to many different kinds of retreats and camps. Lodging for up to 158 in bunk bed style accomodations available dorm style rooms. All living spaces are carpeted and heated. Meeting spaces for every size group--from the cozy Beach House with lakefront view, to the Forum with auditorium style presentation including sound equipment and a stage area. We take care of every detail for your group, from TV/DVD units to coffee and tea stations, white boards and paperclips. Wirless internet access available throughout the campus. Delicious meals prepared for your group. We also have a special cabin for your V.I.P./Speaker. 66 acres of quiet and wildlife. Facilities include chapel/dining room, nice kitchen, six cabins, staff housing. New large craft and multi-purpose building. Covered basketball court, swimming pool, volleyball, soccer and softball fields. 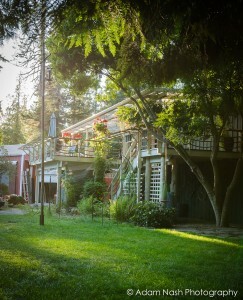 Nestled on the shores of Silver Lake, surrounded by whispering pines, enhancing our restful and relaxing atmosphere. Silver Lake Camp is designed for fun! Our recreational areas include: Outside swimming, paddle boats, miniature golf, volleyball, and hiking trails! 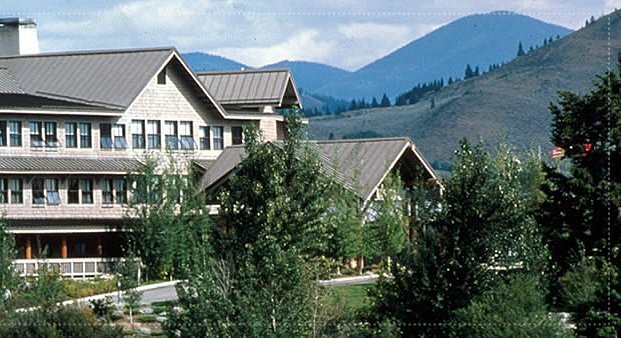 Set against the dramatic backdrop of the Cascade Mountains and nestled on the banks of Icicle Creek, Sleeping Lady Mountain Resort provides a natural setting for productive, engaging and memorable meetings and events. Offering nine meeting rooms and more than 10,000 square feet of function space, Sleeping Lady combines rustic luxury and environmentally-friendly design. Provides a safe place for men and women in ministry to experience an interlude of rest and restoration and encourages them to revisit their calling with strength and hope. Stonewater Ranch is a natural setting for youth groups to build and deepen their relationships with each other. It also introduces teens to incredible adventures, from wilderness trips to horseback riding to the area’s best winter recreation. Located 15 miles north of Leavenworth, WA and 30 minutes from Steven’s Pass, Stonewater Ranch’s 138 acres of mountainous terrain inspires teens to connect with God and others. A year-round destination resort, Sun Mountain Lodge in Washington State's beautiful Methow Valley offers the outdoor enthusiast a unique playground and luxurious lodging. Inspired by its magnificent natural setting and colorful history and culture, Sun Mountain Lodge truly imparts a sense of harmony with its surroundings. The Main Lodge and its luxurious guest accommodations seem to have been hewn from the mountain itself, with huge beams, wood ceilings and walls, a split-log bar, carved mantels and desk tops, and massive stone fireplaces. The resort boasts 96 mountaintop guest rooms and 16 lakeside cabins. This year-round destination hotel is surrounded by miles of scenic trails for the outdoor enthusiast to explore.Cabins are available for rent also. Owned by Seventh-day Adventist Church. 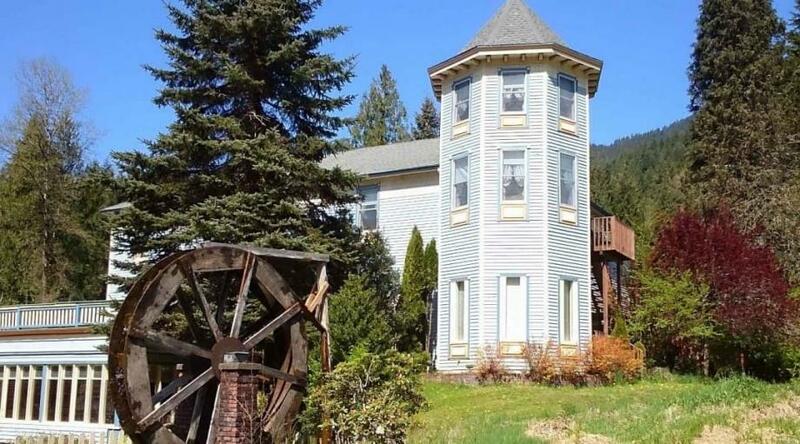 228 acres timbered property. Lake with canoeing and paddle-boats. 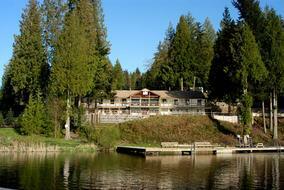 Facilities include 20 cabins, cafeteria (240 people), timber Lodge (120). bath-room facilities with showers, recreation field, nature center, plus guest rooms. Trails, Horseback riding, Available weekdays only. Some Sundays. One of the most beautiful camps on the West Coast. Bordering the Glacier Peak Wilderness Area, lush meadows, massive cedars, and glacial rivers are surrounded by towering peaks. Tall Timber offers a wide variety of activities year-round. 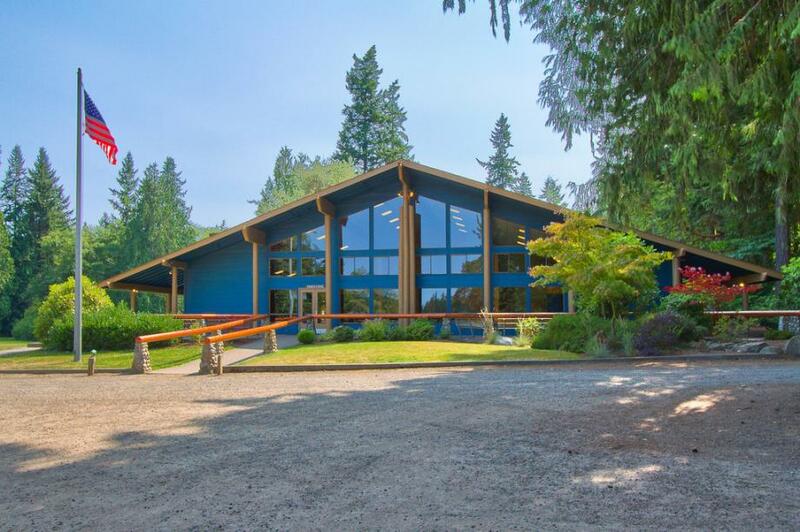 Located on Puget Sound, Warm Beach offers 300 acres; two youth camps and the conference center. Accommodations for groups from 10 to 1,000 range from deluxe motel or rustic cabins or RV. Food service provided. Recreational facilities include archery, arts and crafts programs, canoeing, gym, horseback riding, miniature golf, heated swimming pools. Wilderness Northwest is a non-profit, non-denominational family camp and retreat center sponsored by several local churches. Summer camping and facility use is available for rent to all church groups and families who accept the camp policies and philosophy. Check out our site to learn more about this camp.